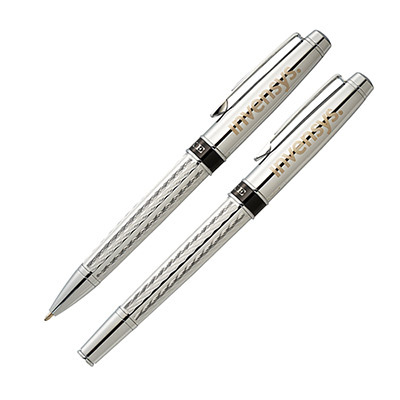 This gunmetal ballpoint pen & roller pen come in a silver metal gift box. Ideal gift for educational workshops, company get togethers or employee appreciations etc. Low minimums, high value and pre-packaged. 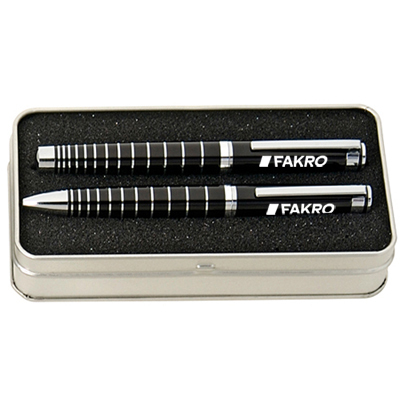 Imprint your logo on these promotional Sterling Ballpoint & Roller Gift Sets and make a permanent mark in the minds of your customers. You can distribute these gifts in offices, tradeshows and advertising events. You could also use these as corporate gifts to show your appreciation for employees and customers. 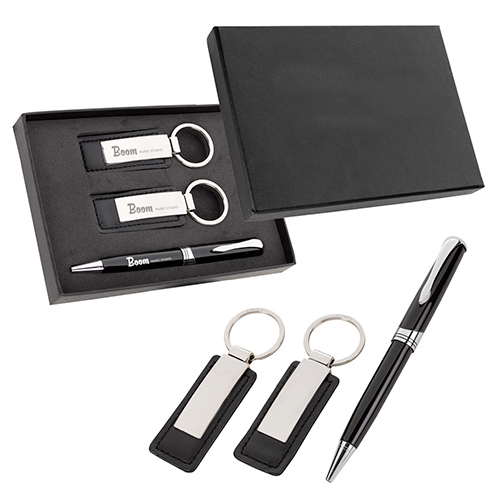 So imprint your company logo on these gift sets and make way for a successful marketing campaign. "Your team always does wonders with my logo. Thank you! " Stylish set makes a great gift!